Welcome to this review of the best metal detectors ratings. This guide will help you make a choice among what is available while considering your level of interest or need for such a piece of equipment. Below this guide you will find a number of metal detectors carefully selected among the best on the market at the time of writing. I hope that you will find it useful. If you have any questions, there is a comments box at the bottom of this page. Please make sure to use it so that we can all benefit from the answers. Also, I would appreciate it very much if you would share your experience in metal detecting in the comment box at the bottom of this review. At this stage you will be one of the two types of person; either you are a beginner in metal detecting; or a detectorist with some experience who wants to know more about this hobby; or sport, whichever way you want to call it. This guide will first take care of the beginner detectorist by answering a few basic questions; then we will enter a more technical phase. How to choose your metal detector? First of all I will explain briefly how a metal detector works. The device is composed of a balanced electromagnetic system, which sends a wave flow perpendicular to the detection pallet. This flow crosses all materials, but when it encounters a metal, it generates by induction a “Foucault Current”, also called “Eddy Current”, i.e. a kind of radiation, which unbalances the system and emits a sound signal. Metal detectors can locate any object from the moment it totally or partially contains metal. This metal presence may be iron, or any other non-ferrous metal: gold, silver, platinum, copper, bronze, lead, aluminum etc. in any form, sheets, grids, tubes, coins or others. Even when covered with a protective layer or an insulator, detection can be done through any material. Current detectors, however, are not so simple to handle. Many settings are now available on the devices to achieve optimal performance but they cause difficulties in use. That’s why you need to choose the right detector so that your passion for detection doesn’t become a nightmare. Your level of experience in detection? 1) You just want to have fun with your family or friends from time to time and find some objects. In this case you can definitely go for the Garrett ACE 250, its price and usability will allow you to prospect without constraint (be careful not to fall into the “toys” devices of less than $200), the Garrett ACE 250 is known to be the best detector to start with. 2) Second possibility, you aim to seriously explore and progress in the future, so go for a detector of the type Garrett ACE 400 and you will then be ready to become a seasoned detectorist. Indeed this kind of device has all the assets to perform sharp research but their settings are simple and the budget is reasonable. 3) If that motivates you and it’s been a dream for you for a long time then you can start with the higher levels in the Garrett Ace family. But I would like to recommend one in particular that has my eye on and is in my bucket list. It is the Whites Spectra V3i which has performance of a high-end but remains very easy to use. It will allow you to get going like a pro but will remain with you for many years to come. As in all hobbies or sports you will have to go through various level. The more you go up the range the more the detectors will be powerful and accurate. If you have already tested a few metal detectors, and your heart feels that it could become a passion, I would suggest that you invest in a good brand in the higher levels straightaway. Indeed, it is essential to choose your detector depending on the type of research you will undertake. The nature of the terrain on which you will be prospecting is also important. 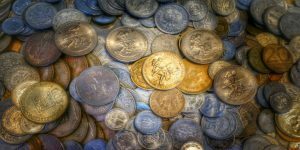 The type of research (as a hobby, for antiques, coins) shows you the level of technicality of the detector you will need as well as the budget that you will be allocate to it. The wide range of devices will allow both amateurs and professionals to find the ideal detector. The nature of the terrain must be a paramount consideration in your decision. If, for example, you are going to prospect essentially at the edge of the beaches, rivers or on wet sands, lookout for a waterproof detector or on a very powerful detector for wet soils. Some devices even have a function to explore on wet sands or black sands. You will also be able to choose your detector so that it is as versatile as possible, functions like the “change of frequency” allowing you to detect on all types of ground without loss of performance. The last important criterion is soil pollution (ferrous waste present in the ground on which you are prospecting). This scrap metal will be your worst enemy. If your device does not have a function “discrimination” or if it is incorrectly set your detector will ring constantly and you may dig all day for nothing but nails, mattress springs (yes, it was me when I started). Discrimination is a very useful feature. You will need to choose your detector based on this criterion and your requirements. Think carefully before buying a device and do not charge on either the cheaper or the better. Determine your level in the field of detection and your research ambitions. Look at the time you are going to prospect and what you are going to look for. It should result from this reflection a logical decision, the more motivated you are the more you will have to climb the range to be satisfied and keep your detector for a long time. A tip: I often receive calls from beginners who bought really cheap devices (from $60 to $150). They wonder why they never found anything. For that reason I strongly advise you to avoid these low prices on the internet, buy the brand! So, what are the best metal detectors ratings for this year? As we have seen earlier on this page, this is the best detector to start with. I highly recommend this product if what you are after is just to have fun with your family or friends on weekends and find some interesting objects. It is certainly the most sold detector in the world. It offers several interesting options that allow a simple metal search for beginners. With extra power, versatility and exceptional stability, the GARRETT ACE 250 offers the best value for money. By expanding the two-position notch, you end up with a sharp view-meter where the alliance of the display. The multi-tone allows to limit the maximum uncertainty during your detection. This easy-to-use detector has a large screen for easy reading, 5 programs to set according to your desire. The kit comes complete with a detection coil cover, the manual, a training DVD, a stereo headphone, and more. The adjustable telescopic rod can reach from 42 inches to 51 inches. Its light weight of only 2.7 pounds makes it comfortable to use by every members of your family. The next level up, still in the Garrett family, as we briefly discussed at the start of this article is the Garrett ACE 400 Metal Detector with DD Waterproof Search Coil and Pro-Pointer II. This amazing metal detector will give years of pleasure as an amateur and and a semi-pro detectorist alike. Like just about all metal detectors of the Garrett brand, its operation remains simple and yet very affordable. It comes with a waterproof search coil which gives you a wider choice of terrain for you to prospect on. It also comes with a high quality headset. This little beauty is fitted with a 8.5 inch x 11 inch PROformance DD waterproof submersible search coil, and its cover. And of course, the operator’s manual is included as well as a 2 year warranty with some extra years of protection offered on option. If you feel that you have reached this level of interest for this most pleasurable activity, this it the right tool for you. 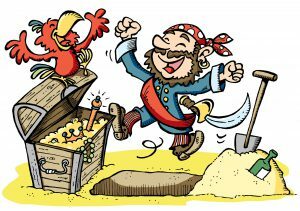 You have guessed it, we are now talking about the PRO level; if this if your degree of interest, or you intend to become a professional treasure hunter, don’t hesitate a second. This one is definitely for you. Apart from all the qualities that the Garrett’s range can offer, equally from the spare time detectorist all the way to the full time professional treasure hunter, this is the one I can really back. Briefly, this awesome kit includes the famous 8.5″ x 11″ PROformance™ DD submersible search coil; the premium volume-control land headphones (batteries included); and it is completely waterproof to a depth of 10 feet (3 metres). And as usual it is backed by a 2 year warranty policy which can be extended to 2 or 3 years if you wish. I also includes the user manual and a training video. I am sure that your heart is beating for this one, and for good reasons. Investing in it will create envy among your fellow detectorists, and you will never want to try another model. You will never need to do so as it will procure you years of immense pleasure and excitement as you discover hidden treasures, perhaps, right in your back garden. I thought it wise to present it to you as it definitely fits in my selection as one of the best metal detectors ratings. It has its own particular qualities. It is very sensitive to very small masses of metal like small nuggets of native gold or various bonze objects such as jewellery, coins etc. A visual analysis of the target according to the different frequencies selected: the icon displayed as well as the numbers and curves allow a very fine analysis. A very practical access to the most advanced settings. This brand new LCD color display confirms the high degree of technology used that will delight the most demanding prospectors. In addition, the Spectra V3i is equipped with a wireless headset, a 10 inch (27 cm) DD standard coil, a rechargeable battery pack and a standard battery pack. Its area of use is very vast, the meadows, the plowed fields, the forest and the beach are no problems for this magnificent kit, it is at home everywhere! To sum up, a powerful and versatile detector born of the latest technologies to satisfy the beginner or confirmed prospector. The choice of the language is done by the interface: German Spanish English and French, which is a serious bonus. At this level of professional metal detectors, I couldn’t miss to introduce to you one of my favorites which is of the Fisher brand. The “Z” series has the opportunity to prospect honorably on wet sand. It is really an all terrain detector operating on land, on beaches, in fresh or salt water up to 200 feet! This will fill the searchers with the most demanding treasures. Where traditional VLF detectors are struggling to get close to salt water, the CZ-21 continuously analyzes the ground effect and compensates for it very effectively. Moreover its discrimination which rejects the ferrous as well as on seaside as in terrestrial and its identification multi-tones of the targets make it particularly comfortable to use, you will not dig for nothing, promised! Its use is simplified for beginner prospectors. The pre-settings indicated on the front of the housing correspond to the ideal setting according to the type of medium. The possibility to wear the case on the belt can significantly lighten the cane. It gives you the pleasure to prospect for hours. The CZ3D metal detector is the culmination of Fisher’s previous Z series, which were the best seaside detectors of the last decade. Its multi tone is very precise: deep sound on the small ferrous finds; medium on the aluminum foil; low on the red coins and an acute tone for jewels and all other types of metal and coins. With its two working modes that make it very versatile: beach and land for inland sites. It is optimized for finding coins of older generations on ancient sites and delivers outstanding performance on old coins. It is also particularly intended to detect better metals. For bronze, copper, brass and silver, it reports as a high tone, rather than a mid tone object. A very good value for its very affordable piece of equipment which will give you years of pleasure and perhaps a fortune. This little beauty incorporates new capabilities on small target like native gold. Ideal device for finding native gold (nugget) in the ground. Its very simple use allows it to be appreciated by beginners in the best possible settings to find gold. It is ideally suited for areas where the rate of mineralization is so great that most devices cannot detect in good conditions. Simply turn the left knob (gain) to the number 70 (standard measurement) which appears in the middle of the screen then put the right knob (threshold) on the position all metals at the audible limit (+3 or 4) and finally you keep your finger pressed on the GG button (ground grab) and move the disc closer to a few centimeters from the ground by making a pumping motion. The device will automatically display the ground effect on the screen and take into account this ground effect immediately in the correction that appears at the bottom right of the screen which is the ground balance. Of course the ground effect can vary from one place to another, so check if the floor effect displayed in the center of the screen is always close enough to the floor balance displayed to have the best possible setting on mineralized ground. The Fe3O4 bar graph has seven segments and indicates the amount of soil mineralization expressed as magnetite equivalence. This remains a valid indication for recognizing and identifying potential bearing lands of native gold. This is the ideal setting for the natural gold search on mineralized ground. So here you are. You want to strike gold? Then, get yourself a Gold Bug, and impress your friends!.. Although this unit is designed for underwater use, it works equally well in the ground. Its weight, quite heavy on the ground is compensated by a wearing belt which lightens it considerably: 2.5 lbs (1,150 gr) for the whole cane and search coil. The great advantage of this device is its versatility and especially its ease of use. Turn on the button and set the power, select your discrimination and sound volume of the buried targets and let the detector do its job, it self regulates according to the soil where you are prospecting, the effect of soil is no longer a problem for it, that does not exist anymore! The depth of detection of targets would make any other detector user turn pale! It is a detector in slow dynamic mode which does not require the addition of a pinpoint. It can operate to a depth of about 250 feet and uses an 8″ or 10″ search coil. Its battery life time of over 75 hours. Color is available in black only. However, before you get yourself too involved in this very rewarding activity, there are a few basic rules that a good detectorist should know and abide to. They make common sense and are respectful of the people involved, and of the environment. Although, every country, state, and even city and town has its own sets of regulations. I am listing here below a few common ones and I suggest that you contact your nearest police station, town hall, club, etc. to find out more. Please be kind to us and you will benefit from your actions for years to come! Total prohibition of touching archaeological sites as well as historical monuments, and prospecting around them. Do not enter private properties; always ask local permission to the City Council and the owner of the land, preferably in writing. Respect the environment in which you find yourself by not unnecessarily digging the grounds, and by leaving the place as you found it. Systematically declare to the Town Hall any object having an archaeological or historical interest. Collect metal objects lying around, that could be dangerous to people or animals. They are in any case polluting the environment. If in contact with mines, ammunition, etc …, immediately alert the nearest police station. 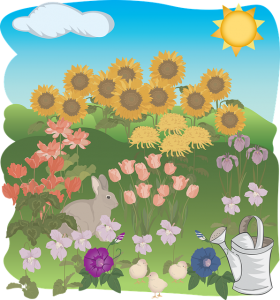 Familiarize yourself with the Rural Code. Keep informed of existing texts governing detection. There are magazines that you can subscribe to. Forums, clubs, etc.. that you can join. Keep yourself up to date with new rules and regulations. You can also ask your questions in the comments block below and you will certainly have a rapid answer. The incredible discovery remained secret for nearly five years. In 2012, a 78-year-old Breton made an exceptional archaeological discovery in a field of Plouagat (Côtes-d’Armor), using his metal detector. This archeology enthusiast accidentally dug out Roman coins in a farmer’s field. Owner of part of the treasure, the Breton recently decided to auction some of his pieces. The happy pensioner had discovered on April 2, 2012, in the middle of a field, hundreds of Roman coins dating from the third century. A real treasure, which had been hidden under the farmland for more than 1,700 years. The agricultural lands in question had never been the subject of archaeological excavations. The retiree had therefore asked the owner of the field for authorization to survey his soils, an authorization granted by the latter. The farmer was notified of the discovery, as well as the “Direction Des Affaires Culturelles (DRAC)” and a team of archaeologists, who landed the next day with the mayor of the town. For three years, all the coins were analyzed in the laboratory. This discovery remained secret for five years, in order to preserve the nature and place of the find and not attract the curious. The pensioner, who wishes to remain anonymous, became the owner of part of this Roman treasure. The owner of the field has retained another part, as well as the cultural affairs department. Part of the coins kept by the retiree were the subject of an auction on July 11 of last year (2017). At the auction house of Saint-Brieuc (Côtes-d’Armor). The coins were divided into lots according to the types of money. Those of the reigns of the emperor Gallien (253-268) and Claude II (268-270); or those of Victorian (269-271) and Marius (268-269). Lots at today’s estimation are worth from 80 Euros to 400 Euros (US$100 to US$500 / British £70 to British £350). A numismatic sale that looks “exceptional”, to believe the auctioneer Master Jean-Michel Juillan. Hopefully you enjoyed reading this page and found this website useful for selecting the right metal detector for your pleasure or profession. My readers and I would love to hear from you and if you have anything to share, or have any questions, just use the box below and someone will respond as soon as possible. If you found this guide helpful make sure to share it socially and write a comment below, I will be most grateful! This post was very informative as I knew nothing about metal detectors before. Now I know where to get the best ones. Thanks for the review. Thanks very much for visiting my website and for your comment Logan. When you are ready to purchase one, please make sure to contact me, if you want, so that I can recommend one that will perfectly fit your needs. Thanks for your comment Fred, and also for sharing your experience with metal detectors. In fact, I will review this metal detector because it is really one that is worth looking at for its performance and value for money. It does take some practice to get used to and recognise the various tones indicating the types of metals, depth, etc. but once you get it, it becomes second nature. I look forward to reading about you picking up your metal detector again and sharing your discoveries here. Thnks for so much information on metal detectors. I never thought that this subject can be so interesting. I have come across the metal detectors at Malls, Railway stations and Airports for Screening but never felt like that this can be a good hobby, Now I would be looking to spend more time reading about these metal detectors. Thanks for your visit and comment Arun. 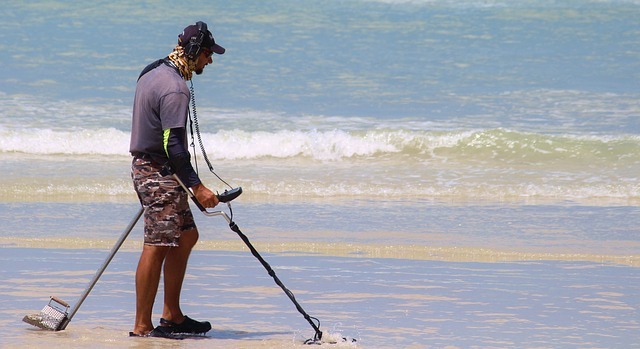 Once you own a metal detector you won’t believe how much fun you missed before. You could also join a club in your area, this will help you learn how to use it very quickly so that you make the most of it. If you have any questions and need help choosing the right one for you, just post your questions in the comment box and you will receive a reply very quickly. Metal detectors are really great and so many people are using these tools to find all kind of cool stuff that can make them all sort of money. These are some pretty amazing metal detectors that I know that your readers will find to be really awesome it is good to have tools such as these to find those valuables. Thanks for stopping by at my website, and for your comments Norman. Yes, metal detectors have been used by hobbyist for quite a while now. It is great fun, and can become financially very rewarding. So Norman, when will you be part of this huge community of detectorists? If you need to make a choice and need some help, make sure to ask your questions at the bottom of this page, and you will receive a lot of useful tips. I like how you have outlined the features of each metal detector. I think I like the water proof type the best for me. I would like to explore around beaches and rivers. It looks like it would take a little time to learn how to listen to the sound and know when to dig. I have a 12 year old that would like to do this, do they make a smaller version of any of these metal detectors. Thanks for your comment John. It doesn’t take that long to recognise the various sounds. You are quite right, the waterproof metal detectors opens a wider range of possibilities, and on the beach you have a better chance to find interesting bits and pieces. As for encouraging your kid to get interested in metal detecting is a good idea, there are models made for younger people and I can highly recommend the “Bounty Hunter TK4 Tracker IV Metal Detector” which has very good reviews. It is very affordable and easy to use. I hope to have been of help to you and if you have any questions please feel free to ask in the comment box below. Great article, I always wanted to get into metal detecting but was never sure how to go about it. But now that I have read your article I will reconsider and maybe pick this up as a hobby, it was very informative and helpful. I also liked the, The Fisher Gold Bug DP Metal Detector which is probably the one that I would start with, it’s sleek and looks very comfortable to use. Thanks for commenting on my website JesusB. Once you have tried a metal detector you will very quickly know if it is something that you would like to be involved with, either as a hobby or, why not a profession, or even in your retirement, as an extra income earner. This is why I recommend in my article that you first get a taste of it by joining a club, perhaps renting a metal detector for a while. This will determine your degree of interest and to what level you might wish to take this new activity. And in turn, it will guide on the type and model of the metal detector that is best for you. The Fisher Gold Bug DP Metal Detector is really one of my favorites, super easy to learn how to use for newbies, and very much appreciated by the more experienced detectorists, and even professionals. So you couldn’t go wrong with it in any case. If you have any questions on the subject, please feel free to join in the conversation here. Once of the sports I enjoy doing is recreational scuba diving and when I read this article, I can see you’re very familiar with metal detectors. I have done a wee bit of researching for metal detectors underwater but can’t find anything suitable. I only want to do this as a hobby and hopefully find interesting underwater objects. I enjoyed watching your video and found it quite educational. Can you recommend or do a review on small and light underwater metal detectors? Oh yes Monica, I love scuba diving too. My wife and myself used to do a lot of it in Florida and South Africa, a few years back, but I have never combined my two passions, scuba diving and metal detecting. It must be exciting. I didn’t think that there would be that many of my readers who would be interested in underwater metal detecting that is why I have written a review of only one, but now I see that it can be useful so I am going to add this one to my listings. Thanks very much for the tip Monica. I hope that you like it and I wish you a lot of pleasure with it if you decide to buy it. Thank you for this review. My nephew has always wanted to try this hobby, but I thought all the toy models would turn him off because he would never find anything. $250 wouldn’t be that bad for an entry level machine. He would find a few metal objects that would allow him to continue this hobby. I imagine the most exciting part is actually hearing or seeing that something has been detected and actually digging it up. Does the high end model detect things deeper in the ground? Thanks for visiting my website and for your comment Ernest. Yes, as I explain at the beginning of my introduction, it is not worth starting with a “toy” metal detector. Your nephew will be disappointed by not finding anything and give up on what could have become an exciting hobby. Your target figure is what I reckon to be a good start. And going up into the more professional models will ensure better findings in deeper levels and even under water as the last one I have reviewed. Let me know if you have any questions or need any advice for selecting the right model for your nephew. Cool article. Years ago I owned a Gold Bug II which was mainly used for nugget shooting. No discriminator, just max penetration. I dug up a lot of garbage, buried nice and deep too. Thanks for taking the time to post a comment Steve. If you would give this hobby a go again, you would not believe how metal detectors have improved since the time you were prospecting. The Gold Bug brand is now among the best. A bit more expensive though than what you intend to invest now. But there are some very good brands now, with all the bells and whistles, in your price range. I can easily recommend the Garrett Ace 250 Discover Package. It is one that you will surely love using. Let me know if you have any questions, and if you do get back to metal detecting, make sure to share your experience and discoveries with us here. Love to read your post and Your post really help me to find the best metal detector. I interest in this profession. So I want a metal detector for finding relic, coin, gold. Thanks for taking the time to go through my website and for your comment Paulette. One that I can recommend to anybody, which I think will tick all the boxes for newbies as well are professional detectorist is the Garrett Ace 250 Discover Package. It has all the bits and pieces to get it up and running in no time. Being my favorite, I have reviewed it first on my “Best Metal Detectors” reviews, at the top of the page, just below the guidelines and recommendations. Please do let me know if you have any questions, and if you do make your purchase, please be kind enough to come back here and share your views on it. Beaches, water park, Underwater detecting are an amazing hobby. My best friend Jon is a detector so sometimes I was accompanied him. In traveling time I peruse interest in detecting. So I try to detect. Your post is one of the best so I read all your post. Thanks for visiting my website and for taking the time to post a comment Kathlene. I am glad that you are also enjoying metal detecting. As you know, it is very exiting when you discover something of interest. I guess that you have given it a try when going out with your friend. Do you have your own metal detector? What make and model is it? I guess that your friend is the best person to recommend the metal detector that would fit best your requirement, but if I may recommend one, it would be The Garrett Ace 250 Discover Package. I look forward to seeing you on this website often and if you have any questions, please do not hesitate to post them here for a rapid response. Thanks for the suggestions. I’ve always been interested in metal detecting, in the idea of going on a hunt for a buried treasure. This article was very informative for me. I didn’t even know that iron in the soil could mess up readings on the machine (though it makes perfect sense). Thanks for the recommendation of buying the brands. I certainly would’ve tried to buy the cheapest metal detector and been disappointed. I really like the Garrett Ace discover package. It seems like it has everything you need to get started. Thanks very much for visiting my website and for taking the time to share your views Eva. That is correct, if you buy too cheap “to see if you will like it”, you will be disappointed and you will have wasted your money. If you invest just a little bit more in a better one, you will like it for sure as you will find items of interest. That will get you excited and you will love spending your spare times discovering things that might earn you some money. The one that get your attention, The Garrett Ace 250 Discover Package, is really a good one to get started with, and which will remain with you for many years to come. So you can’t go wrong with it Eva. It has really good reviews all round. Let me know if you have any questions, and I hope that once you have it and make your first find (could a gold coin) that you will come back here to share your excitement. Great article on this subject and I am very interested to find out more as I don’t have any experience in this hobby. I would probably like to start on the beach and see how I get on, is it common to find articles on the beach and when you do, at what depth can you expect to dig in order to retrieve the find. 1 – The one who basically is looking for objects for a profit, therefore doesn’t worry much about the history behind the object found. In this case, I would recommend a waterproof metal detector to screen the beaches. There are great chances to find objects with a quick resell value. People often forget to remove their jewellery when going to the beach, put on some sun cream which make rings very easy to slip off. These items of value are often found right on the sand or just below the surface. You might need to search at the edge of the water, that’s you need to have a waterproof kit. 2 – The one who is interested in finding pieces of collection, with some historical value, it might have a cash value (sometimes very high) or not. If this is your choice, you better get a detector which has a good “discrimination” function, to avoid digging deep for a bunch of nails. For that, it will be necessary to know quite a bit of historical background on the grounds you wish to prospect. You will also need to have the permission of the land owner to prospect, plus, you might have to share your finds with him. Also, depending on your find, you might have to report it to the authorities. At the bottom of the page ( Best Metal Detectors Ratings 2018 ) there is a little guide on the subject. I am glad that you intend to make metal detection your hobby, and I am sure that you will enjoy it very much. Just make sure to select the right equipment, and let me know if you need any help in making your choice. Personally, I have never really owned a bot, but this stuff is great content and gives me a lot more info on bots than I thought. I kinda like all of the uses that robots have in our current society now, and get giddy at all of the cool things they’ll be able to do in the future! Thanks very much for visiting my website AbenDude, and for expressing your views on robots. More and more people are getting into using and owning robots. They are definitely of great help and some are becoming necessary in helping us in our daily cores, example, wouldn’t you love owning a robot vacuum cleaner to clean your home while you are visiting friends? Or a slow cooker that will render the most delicious meal ready for you so that when you come back from work all you have to do is to relax in a nice warm bath with a glass of your favorite drink? Or sharing the fun with your friends and family of having your drone performing and taking pictures from above? What about keeping your property and family secure with a state of the art wireless security system?.. and save on your home insurance policy? The thing is, are we, humans, going to keep a total control on them? That is another story. For now, the robots are taking over many jobs, but they are still under human control. Let’s hope that it will remain like that. I am preparing a new article that I am sure will interest you: “Best Robot Lawn Mowers Reviews“. I hope to complete it today, so stay tuned. Hey there! I like to hunt for random stuffs. My dad used to have a metal detector and I used it before but now it’s broken. I want to buy a new one for my dad and also for mine to use. This would be a great way for us to spend time together. I read your article and I found it really informative and helpful. I’m a beginner and I don’t want to spend a lot on this, I will surely buy the Garrett Ace 250. Thank you for sharing this information. Thanks for visiting my website and for commenting John. Good choice, the Garrett Ace 250 is the most popular and affordable, without falling into the “toy” level, which would disappoint you and your dad. I am glad that you are thinking about replacing your dad’s metal detector and I am sure that you will enjoy many great days with it. I wish you to find great treasures.